"12:30 a.m. The word is passed: 'Women and children in the boats'. Stewards finish waking passengers below; life-preservers are tied on; some men smile at the precaution. 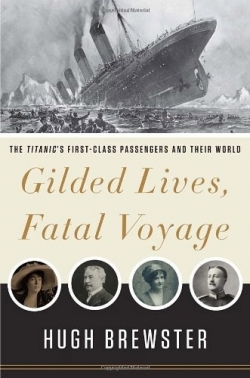 Without a doubt the most glam passenger to survive the TITANIC disaster was the fashion designer Lady Duff-Gordon (1863 � 1935). "If the TITANIC sinks, will they transfer the luggage?" "Miss, if I were you, I'd go back to your room and kiss your lovely things goodbye." "Those who had already made the (collapsible) boat saw Captain Smith swimming toward them with a child held high out of water. With a lifebelt to support him the Captain was swimming easily and strongly. He reached the boat, from which hands were stretched out to receive him, and passed the child on board...Captain Smith shoved himself away from the boat..."I will go down with the ship," he cried. He sank immediately, and although those on the collapsible boat watched for him to come up that they might drag him aboard, he never appeared." "The terrible event reads like an epic of night, or like a Greek tragedy on a colossal scale; more, it is a revelation of the power of God in man." "It was our Congressmen, our Senators, and our 'big men' who led in the crush for the lifeboats." 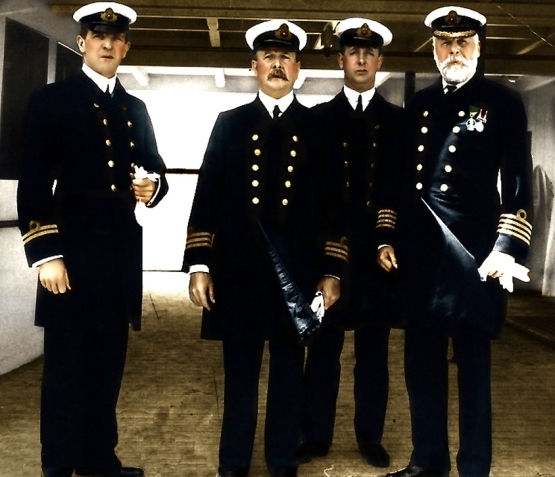 It was also pointed out that many of the TITANIC heroes that night were also men of prominence within their communities, fellows such as Isador Straus and John Jacob Astor who refused to accept lifeboat seating.